Manchester City will seal top spot in Champions League Group F with a draw against Hoffenheim on Wednesday, but they only have 15 players available. Playmaker David Silva is the latest to join the injury list which includes striker Sergio Aguero, midfielders Kevin De Bruyne, Benjamin Mendy and goalkeeper Claudio Bravo. “I can’t rotate too much,” said boss Pep Guardiola. He added: “That stage is always tough, but in general the next Monday when there is a draw it’s a success we are there. “Hoffenheim were incredible against Shakhtar Donetsk and they lost [3-2 on 27 November]. It was incredible and fascinating to watch as a spectator. England winger Raheem Sterling is likely to play against the German side. The 24-year-old was at the centre of an incident involving alleged racist abuse during City’s 2-0 loss at Chelsea on Saturday. The Blues have suspended four people from attending matches pending an investigation. Guardiola gave his full support to Sterling and added: “I think it is sad this happens still. City defeated Hoffenheim 2-1 in Germany on matchday two. The first two shots on target were scored within the opening seven minutes (Ishak Belfodil for Hoffenheim and Sergio Aguero for City), before Silva scored the winner in the 87th minute. There have already been 42 goals scored in this group so far; the most for any group in Champions League history is 51 (Group F in 2016-17). City are unbeaten in their last six Champions League games against German opponents (W5 D1) since a 0-1 defeat to Bayern Munich in September 2014 – Guardiola was in charge of Bayern that day. After going 12 games without a loss at the Etihad Stadium in the Champions League (W9 D3), City have lost three of their last four there – though they did beat Shakhtar Donetsk 6-0 in their most recent such game. 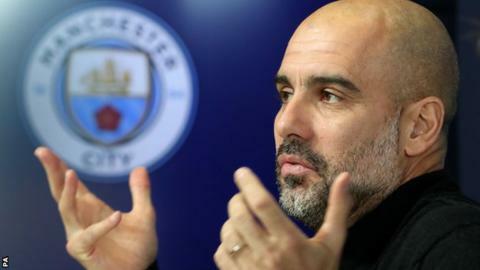 Guardiola is looking to lead his side to first place in the group stages for the ninth time in 10 seasons in the Champions League, only previously failing to do so in his first season with City (second in 2016-17). This will be City boss Guardiola’s eighth competitive meeting against Hoffenheim as a manager. He’s yet to suffer a defeat against them (W6 D1 L0), with six of those games coming in the Bundesliga while he was manager of Bayern Munich. City’s Riyad Mahrez has assisted more goals (four) than any other player in the Champions League this season, setting up a team-mate once every 75 minutes. Hoffenheim have played away from home against English opposition just once before; they lost 2-4 to Liverpool in the play-offs of the 2017-18 edition of the competition, being eliminated in the process. Hoffenheim’s Reiss Nelson could become the first Englishman to score against an English side in the Champions League for a non-British side.